His name appears as Stefan Gordy, but his millions of fans worldwide know his better as Redfoo of the hit group LMFAO. 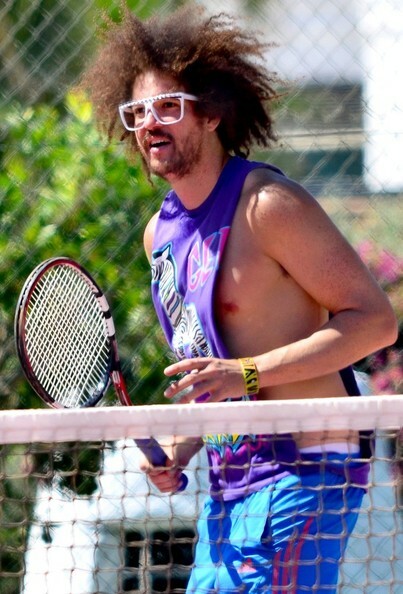 Redfoo will make his @TheOjai debut on Tuesday when he faces Weil Tennis Academy junior Zhang Liang of China. The match will begin at 12 noon at the Ojai Athletic Club. If Redfoo beats Liang, he would then face Mbonisi Ndimande of Goleta, a former No. 1 player from UC Santa Barbara at 3 p.m.
Redfoo currently has more than 928,000 followers on Twitter and is dating WTA world-ranked No. 4 player Victoria Azarenka. The Ojai is in its 114th year. Main draw action begins on Thursday for both the men and women.